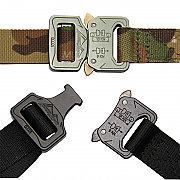 Tactical Belts, Holster Belts and Combat Belts for military and police use. 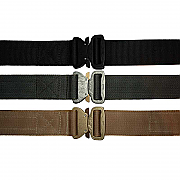 These tactical belts and military belts are suitable for the belt loops of most tactical trousers and for most tactical attachments (pouches, holsters etc). 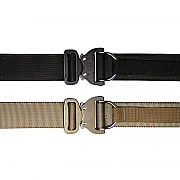 Intelligent Armour UKSF Riggers Belt and Combat Holster Belts are manufactured in the UK to full military specification and are suitable for Military, Police, Special Forces and emergency services. 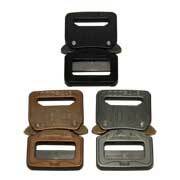 The IA 1.75" Inner Belt, for those who require that extra level of stiffness to their tactical belts. Manufactured in the UK by Intelligent Armour Limited; using the best possible military specification materials. 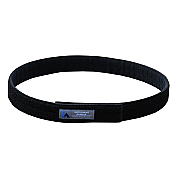 The Intelligent Armour 1.5" Range Belt; for the range and everyday use. 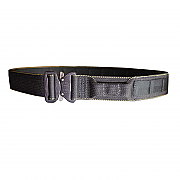 Manufactured in Gloucestershire by intelligent Armour Limited, the IA 1.5" Range Belt is a lightweight stiffened belt designed to support holsters and that will fit everyday trousers. IA Combat Holster Belt, manufactured in the UK by Intelligent Armour. The IA Combat Holster Belt was designed by Intelligent Armour upon requests from some of our Special Forces clients who required a tactical quick release belt, strong and stiff enough to carry the weight of a holster or thigh-rig mount, but lighter than other holster, combat belts or CQB Riggers belts. With attention to detail and to the materials used, the IA Combat Holster Belt is truly one of the very best combat belts on the market today. Intelligent Armour has re-invented the CQB Riggers Belt! This belt is manufactured to the same standards using the same military specification webbing and thread as our Combat Holster Belt, yet uses a lightweight AustriAlpin “Cobra Frame” in place of a heavyweight forged metal roll-pin buckle. The SF Riggers belt is fully manufactured by Intelligent Armour in the UK, all component materials are of military specification. Ideal for emergency services, police, military and Special Forces, the SF Riggers Belt was designed by Intelligent Armour as a complement to our Combat Holster Belt. 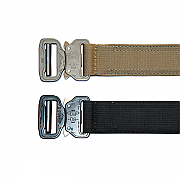 The Intelligent Armour Tactical Riggers Belt, designed and manufactured in the UK. 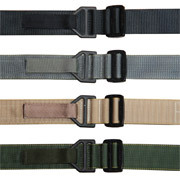 A stiffened tactical riggers belt with the addition of Molle loops for the attachment of Molle pouches. 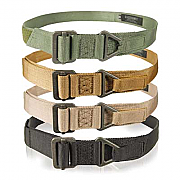 The Intelligent Armour Tactical Riggers Belt features the new AustriAlpin D-ring COBRA®. For the tactical operator who thought he had everything! 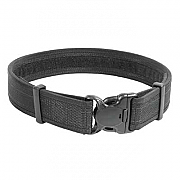 Intelligent Armour were asked by a client who had brought a number of our belts to produce a tactical dog collar. Well, we went one better and added a lead too! 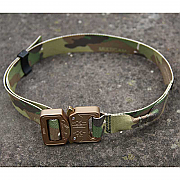 The IA Dog Collar and Lead is made by Intelligent Armour in the UK using Crye Multicam or A-Tacs webbing , Austialpin 1" Cobra Buckle and HK Snap Hook. All sewn with nylon bonded thread. 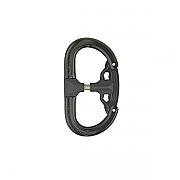 Austrialpin fifty fifty autolock carabiner featuring two identical compartments that open alternately with a sliding spring-loaded clip and lock automatically as soon as one loses the hold of the clips. 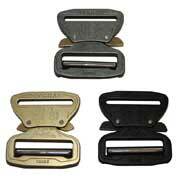 Austrialpin Cobra Buckle, 45MM, an ideal belt buckle for military use. 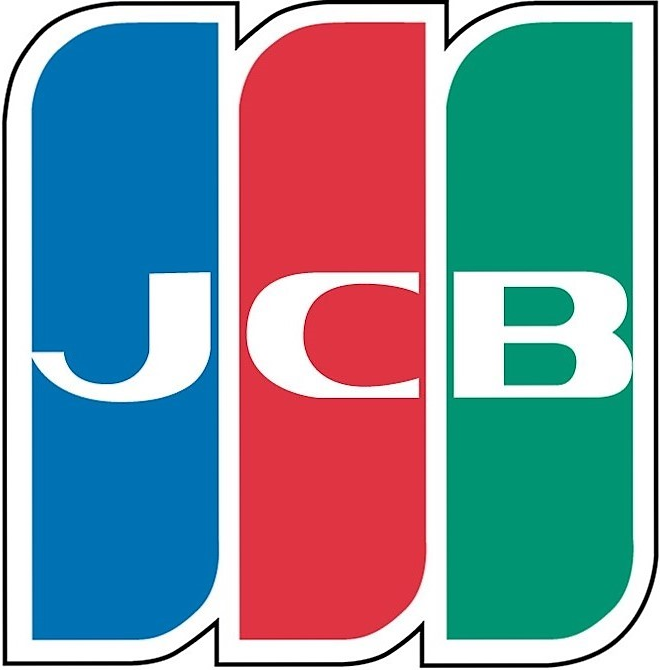 Designed and manufactured in Austria, the Cobra Buckle are, without equal, the world's safest, most finely crafted, and strongest load bearing quick release fasteners available.